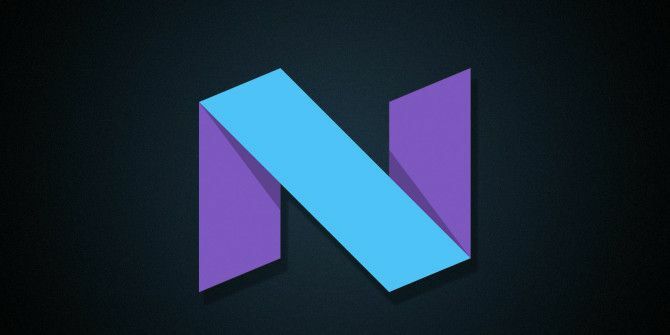 Android N was expected to be shown off for the first time at Google I/O in May, but it’s here already. You can try out a preview of the latest version of the world’s most popular mobile operating system today if you have a Nexus 6, Nexus 5X, Nexus 6P, Nexus Player, Nexus 9, or Pixel C.
The initial Developer Preview is an alpha build that will be updated on a 4-6 week schedule until the summer, ahead of its official launch in Q3. It’s a very early version, not designed for permanent use, and we don’t even know yet whether it will be Android 7.0 or Android 6.1, let alone what its dessert-themed name will be. There are two ways to get the Android N Developer Preview. One is to flash it manually, and this is the best option for most casual users. The other is to enroll in the Android N Beta Program. 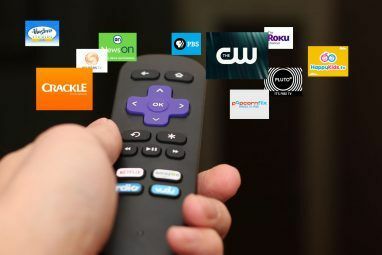 This will give you regular over-the-air updates, but it’s intended for developers only and should be avoided unless you’re planning to install it on a test device. To flash Android N manually, we’re going to assume you’ve already unlocked your phone’s bootloader and installed the ADB and Fastboot tools. These are prerequisites for rooting and flashing What Is Rooting? What Are Custom ROMs? Learn Android Lingo What Is Rooting? What Are Custom ROMs? Learn Android Lingo Ever had a question about your Android device, but the answer had a bunch of words in it that you didn't understand? Let us break down the confusing Android lingo for you. Read More on Nexus devices. If you’ve never done that before, you probably ought to start there How To Root The Nexus 6P and 5X How To Root The Nexus 6P and 5X So you've got a brand new Nexus 6P or 5X, and you want to root it? Easy. Let us show you how to do it. Read More before experimenting with developer previews. Note that this official process wipes your data, but there is a way to flash Android N while keeping your data, which we’ll cover in the next section. Backup all your data, preferably by performing a Nandroid backup using a custom recovery What Is A Nandroid Backup and How Exactly Does It Work? What Is A Nandroid Backup and How Exactly Does It Work? You need that backup at the ready. Read More . Download the factory image for your device. Extract the contents of the compressed file and save them to the platform-tools folder of the SDK, where ADB and Fastboot are stored. 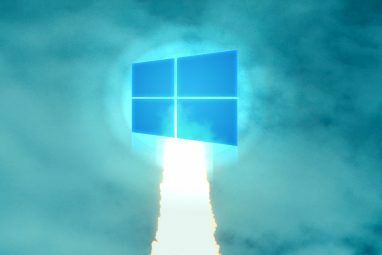 Connect your device to your desktop and boot into the bootloader. There’s a key combination that does this — normally starting the device while holding the power and volume down buttons simultaneously. Launch a terminal or command line on your computer and use the cd command to change the directory to point to the folder where the Android N preview files are stored. On Windows, type flash-all.bat and hit Enter. On Linux or OS X, type ./fastboot flash-all.sh and hit Enter. Wait a few minutes while Android N installs, then reboot. As your data has been wiped, you’ll need to set up your device from scratch. Wiping your data is preferred when flashing a major update, but we encountered no problems with leaving our data intact. To do this, simply open the flash-all.bat or flash-all.sh file (depending on which operating system you’re using on your computer) in a text editor and delete the -w command from the file, and save it. The -w is the instruction to wipe the device. Now follow the process outlined above. When you’re ready to revert back to Marshmallow, download a factory image for your device and flash it using the instructions above. Don’t forget to remove the -w flag from the flash-all files if you don’t want to wipe your data. We had a few issues with the Contacts app constantly crashing after reinstalling Marshmallow, but restoring our Nandroid backup fixed that. So long as you take care to make a backup, you should be fine. Android N is shaping up to be a relatively modest update as far as new features are concerned. 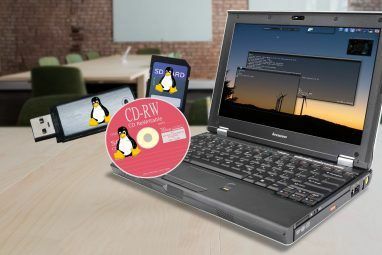 It is a continued refinement of the operating system with most of the benefits under the hood. These include things like the updated ART compiler Does Switching To ART Speed Up Your Android KitKat Device? Does Switching To ART Speed Up Your Android KitKat Device? Is ART best left alone until Google decides to roll it out as a working replacement for Dalvik? Read More , which should improve the performance of apps and certainly makes the “Android is Upgrading” screen whizz by in a few seconds, compared to the few minutes it takes with Marshmallow. Battery life should also see improvements. Doze, the feature that turns off background apps and services when the phone isn’t being used, will spring into action faster. On Marshmallow, it required the phone to be resting flat — if the sensors detected motion at all, then Doze would not activate. Under Android N, it will begin working when the screen is turned off. The only way to get this working previously was to tweak the Doze settings on a rooted device 5 Advanced Ways to Improve Battery Life on Android 5 Advanced Ways to Improve Battery Life on Android If you've got a rooted Android device (or you're willing to root it), and you want better battery life, we can help you out. Read More . A new Data Saver function enables you to prevent apps from “unrestricted” data use in the background, unless you choose to whitelist them. This optional feature could also have battery life benefits How to Improve Battery Life on Android 6.0 Marshmallow How to Improve Battery Life on Android 6.0 Marshmallow Battery life is finicky, but with this trick, you can squeeze a lot more out of your Android 6.0 Marshmallow device. Read More , as well as protecting you from excess charges if you’re on a limited data plan. The most interesting of the new features is the long-awaited Split Screen multitasking mode Get Samsung's Multi Window Feature On Any Android Device Get Samsung's Multi Window Feature On Any Android Device All new Samsung Galaxy devices come with Multi Window, an awesome feature that allows you to run multiple apps at the same time. But how do you get this on a non-Samsung device? Read More , a version of which we’ve seen on the last few generations of Samsung’s flagship devices. Split Screen lets you have two apps open on screen at the same time. There are two ways to use it: holding down the Recent Apps button places your current app into the top half of the screen, and then you select your second app from the Recent Apps list in the bottom of the screen. Or you can open the Recent Apps list and drag one app to the top of the screen, before selecting one for the bottom half. The two apps are split by a divider, which you can slide up and down to give extra space to either one. Sliding the divider all the way to the top or bottom exits Split Screen mode. Split Screen works very well and will be especially useful on tablets or the very large screened phones — it’s a little cramped on a 5.2″ Nexus 5X. Apps will need to be updated to work with it fully, although in our tests, many apps already worked just fine, despite warnings to the contrary. Notifications have been given a polish. They’re now flatter, full-width and more information-rich than ever. They show larger chunks of Gmail messages, and while multiple messages are still grouped together, they can now be dealt with individually. Apps can be updated so that it’s even possible to reply to messages inline. Hangouts is the first app to have this feature, and it’ll be a really useful addition for all messaging apps. The downside to this is that the notifications pane can become very cluttered with information. Swiping any of them halfway to the left or right enables you to set the notification options for the corresponding app. Again this is inline, and replaces the long press currently used. At the top of the notification pane is a small row of Quick Settings toggles: Wi-Fi, Bluetooth, Mobile Data, Do Not Disturb, and Flashlight. Swiping down on that reveals the full Quick Settings panel. It’s now paginated and customizable, and developers will be able to create tiles for their own apps to go in here. All these buttons act as toggles, with a long press opening their corresponding settings screens (with the exception of the flashlight, which launches the camera). So many of the major features that make up the Android experience have been siphoned off into their respective apps that the big updates we used to see with new Android releases now happen independently of the operating system. A prime example: There have been many rumors recently that Google was planning to remove the app drawer. Well, it’s still here in Android N, but only because Android N uses the Google Now Launcher, the same app that ships on current Nexus (and some other) devices. You can download it for free from the Play Store — even on non-Nexus devices. Elsewhere, there are numerous interface tweaks and tidy-ups. The Settings screen now offers up basic information (such as volume level or battery status) without you needing to tap into each option. Each individual Settings page has a navigation sidebar too, so you can jump from one section to another more easily. Among the rest is a fleshed out Default Apps screen, an improved File Manager, the ability to calibrate the colors of your display What Is Monitor Calibration, and How Will It Make Your Photos Look Better? What Is Monitor Calibration, and How Will It Make Your Photos Look Better? Calibrating a monitor ensures that colors are displayed accurately, as well as consistently across every display, even when printed. Read More (by manually adjusting the red, green, and blue values), change the DPI of your display, and activate a night time mode to use dark backgrounds throughout the entire system. A double-tap of the Recent Apps button now toggles between your two last used apps. The System UI Tuner, hidden behind a long press of the Settings cog in the notification panel, also has a few extra options. When Will Your Phone Get Android N? Rolling out Android OS updates is a notoriously slow process. Marshmallow stands at just 2.3% market share, some four and a half months after it launched. But while it’s still far too early to say when Android N will arrive on any devices, there is hope that it may be more timely than older versions. Google says that making the preview available so early “allows us to hand off the final N release to device makers this summer, so they can get their hands on the latest version of Android earlier than ever”. When Android N launches in Q3, it is entirely possible that handsets like the Galaxy S7 Read Samsung Galaxy S7 Reviews, Google Previews Android N... [Tech News Digest] Read Samsung Galaxy S7 Reviews, Google Previews Android N... [Tech News Digest] Read reviews of the Samsung Galaxy S7 and S7 Edge, Google launches Android N developer preview, experiment with Google's Chrome Music Lab, Steve Chen launches Nom, and YouTubers play real-life Hitman. Read More or LG G5 will have updates ready to go. Or, at least, we can hope. Android N is still several months away from its official release, and though it’s not looking like a revolutionary update, it is shaping up to be a polished and appealing one. What do you think of Android N so far? Are you planning to try it? What features would you love to see in a future version of Android? Tell us your thoughts in the comments. will Samsung ever release the Marshmallow for Note 3. Samsung is too slow in releasing updates and they tend to forget totally to their "older" phones like mine Note 3 which is functioning like pro after two years. Last update I got was v5.0. If the final release is projected to be in Q3, wouldn't it stand to reason the Galaxy S7 would be able to upgrade to it around that time? That's the idea, but it depends on Samsung. It took them 3 months to release the Marshmallow update for the S6, and I think about a month for Lollipop for the S5. will Samsung ever release the Marshmallow for Note 3. Samsung is too slow in releasing updates and they tend to forget totally to their “older” phones like mine Note 3 which is functioning like pro after two years. Last update I got was v5.0.